What is so fascinating however is that we don’t just live in this quantum energy soup…we are a part of it. 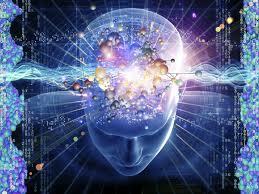 Our bodies, our being, our thoughts our brains are actually all part of this energy. It looks like we are firm solid stuff like bones, tissue, nails and skin. The keyboard I am typing on and the desk from which I work both look like solid wood and aluminum. But truth be told, we are actually vibrating strings of energy, as is my keyboard and desk. What appears before us isn’t quite the way it really is. I am not just fascinated that all the different forms around us are made up of the same basic building blocks, (arranged in infinitely different configurations) but that these basic building blocks all have vibrating frequencies. To quote an old mentor of mine, Len Sweet, we are all singing a song. What are the implications of this vibrational pattern or configuration we are “holding” in our body and our thoughts? I think we have an intuitive sense this energy can create resonance or dissonance. What is resonance? In Latin the word literally means to re-sound. When I am experiencing resonance with you we are "vibing together" we are “feeling the groove” we “get” each other, we “feel in synch.” All of these are simply common ways of stating we are resonating. But what at one time we thought might simply be a feeling we are now learning is far, far more. We are literally amplifying our energy signature, “the song we sing” when we get around others with the same time of energy. This is exactly what is happening when we walk into a room and we can tell the “vibe of the room” was good, or the meeting we just came out of “was high energy” or that speaker really “brought down the energy in the room.’ I think we are simply using language that makes sense to us. What we are now coming to realize however is there is a scientific quantum explanation for this. So think about this. Our consciousness, or our thoughts, design, create and direct these frequencies, these quantum energy patterns. We weave a web of quantum energy. Feel yourself into this for a minute. Sit and think about a sad event. Notice the energy level in your body, note your expression, posture, breath, and pulse. If you were to continue on this thought train for 30 minutes and then walk into dinner with some friends, what do you think would happen? Well a good guess might be, that with people that know you pretty well, they might pick up on that fact you “look down” or that is seems like you are “hurting,” “struggling,” or are “low energy.” The energy you are generating in your little meditative exercise will very possibly be felt and seen by those around you. The reverse is true as well. You know how you feel when you dwell on possibilities, incredible opportunities, breakthroughs in your thinking or in setting a goal and reaching it. These create a totally different sort of vibe; a vibe that is equally seen and felt by others around us. It is why we don’t like being around Debbie Downer types…”they drag us down,” we say. Their quantum energy signature isn't connecting....now of course we don't say that but that is actually what is happening! Can you think of examples where the “energy” being exhibited impacted the environment? This is quantum energy friends.